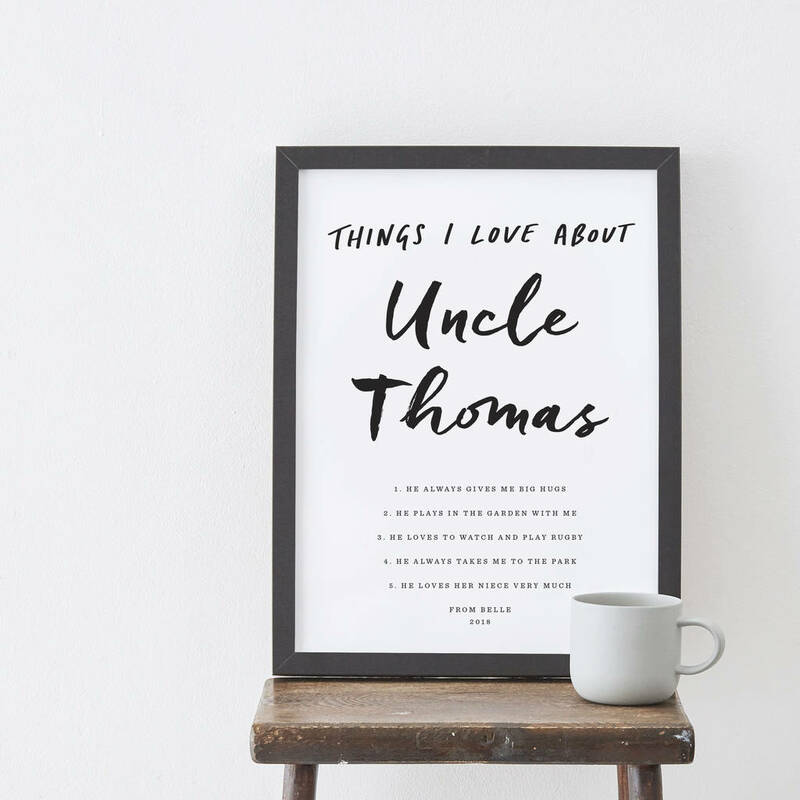 This personalised things I love about uncle print would make the perfect gift for any uncle! A charming personalised uncle print that has been illustrated in a quirky hand-lettered style. This print would make a perfect gift for younger children to their uncle. 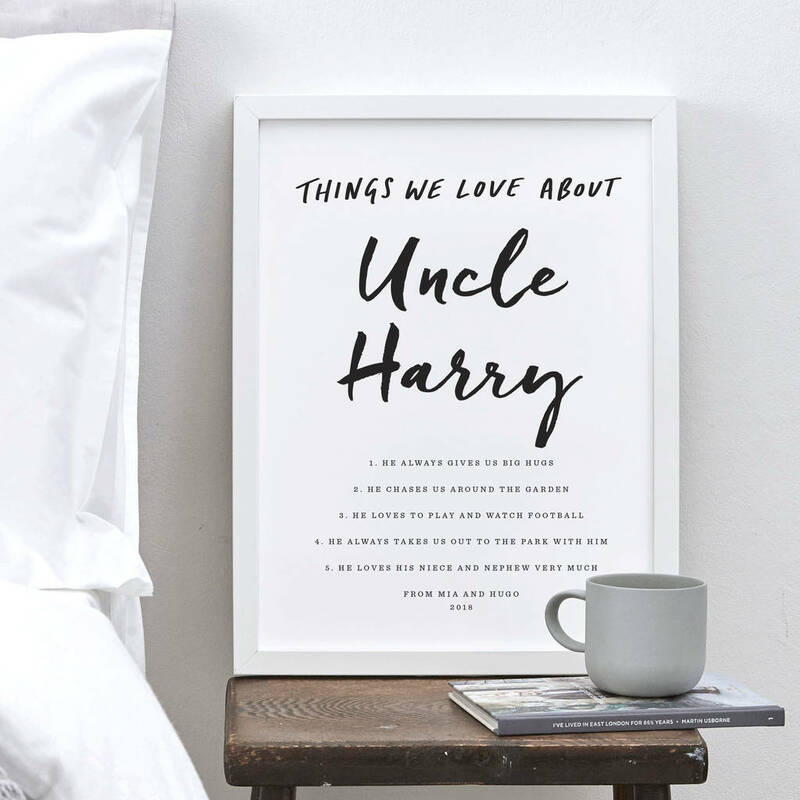 The personalised uncle print can be personalised by adding up to 5 things you love about uncle (e.g. 'Makes pancakes for us on the weekend' or 'Always gives big hugs'). This option makes it a truly personal print. You also have the option to add a personal message for your uncle, names or special date at the bottom of the print beneath the main illustration. You can choose the header title to read from 'WE' or 'I'. You are able to choose the name (i.e. 'Uncle Harry', 'Big Uncle Tim'). Our personalised prints are made using thick 220gsm archival matte paper, which gives crisp lines and bold colours. We use high-quality inks to prevent fading over time, this offers a long lasting print.